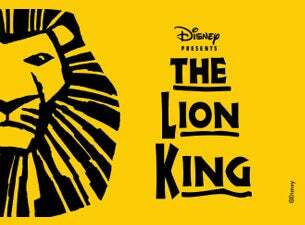 From June 18-July 12, 2015, Broadway Across Canada brings the Tony-Award-winning musical, Disney’s The Lion King, to the Queen Elizabeth Theatre. From the start, The Lion King promises to be a spectacle for the senses. From the opening lines sung by Tshidi Manye as Rafiki, to the entrance of the animals through the aisles onto the stage, the opening act takes the audience to the African plain and promises us an adventure. The production does not disappoint. The costumes are a visual wonder. Director and costume designer Julie Taymore radically reimagined the cartoon on which the musical is based, so that, rather than a cartoonish interpretation of the movie, all we see are beautiful animals interacting with the landscape. What was also wonderful was how they elevated the role of the lionesses to add a new dimension to the movie. The beloved songs from the movie, including “The Circle of Life” and “Can You Feel the Love Tonight” are there, but they are richly interwoven with new music produced for the stage by Mark Mancina and Lebo M, allowing the audience transportation into Africa to be made even more real. The actors perform their roles with such conviction that it is difficult to imagine them as humans. In particular, Nick Cordileone and Ben Lipitz as Simba’s buddies Timon and Pumbaa steal the show with their slick comic timing and impressive puppeteering. Kudos as well to Patrick R Brown as Scar, who plays the role with such menace that one shudders to meet him in a dark alley. The child actors Tre Jones and Mikari Tarpley bring boundless joy and energy to their roles as the young Simba and young Nala. There is much to love about Disney’s The Lion King, that one can see why almost 110 million people have seen in over its 18 year history. Now it’s Vancouver’s turn, again, and I encourage you all to go and get your tickets to go on your journey to Pride Rock. You won’t be disappointed. Purchase tickets here.